Baked goods to blame for Karl's doughy TV moment? 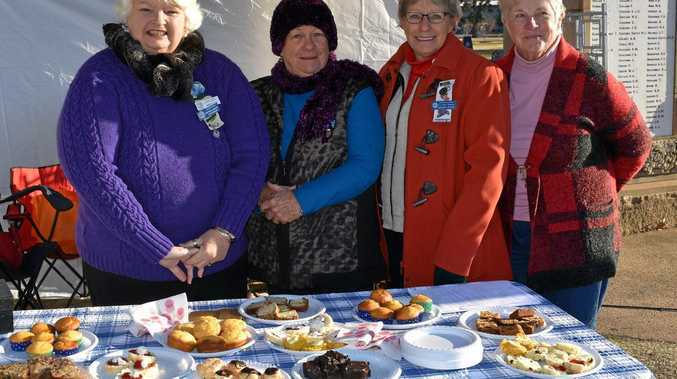 WHEN Karl Stefanovic accidentally announced Scone as the second town to co-host the Channel 9 telethon, he may have had the QCWA's delicious baked goods on his mind. With less than 24 hours notice, volunteers from various organisations banded together to make the surprise celebrity visit a success. After he was reminded the second half of the telethon would actually be held in Dubbo, Mr Stefanovic was spotted enjoying some of the delicious scones, cupcakes and bickies provided by the Queensland Country Women's Association. 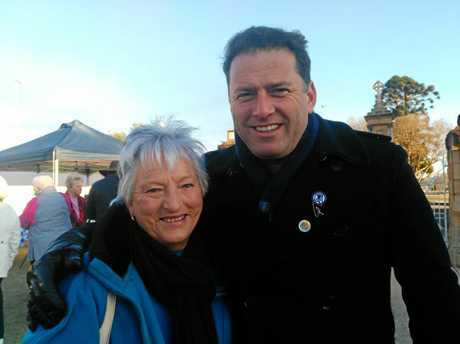 With so many small charities coming together at the drop of a hat, Channel 9's impromptu appearance in Warwick was just a taste of what is to come later this month. Warwick Rotary Club, Queensland Country Women's Association, Josh Arnold, Southern Downs Regional Council, Warwick Show and Rodeo Society and Warwick Polocrosse Club were all up at sunrise to help out. "It was really nice to see the different little charities coming together and hopefully the telethon will create an even bigger atmosphere and bring more people out to support this cause,” Warwick Show and Rodeo Society events and marketing co-ordinator Teilah McKelvey said. Bringing different sectors of the community together, it was evident everyone had been helping the cause in different ways. Inspired to help, Mrs McKelvey annnounced the society would hold a "buy a bale” fundraiser on Friday, August 17, to support local farmers. "We will have food and the bar and all profits will be going towards buy a bale,” she said.